My first large “look without hands” project is my Moodlight. 5 RGB lights, individually controlled. 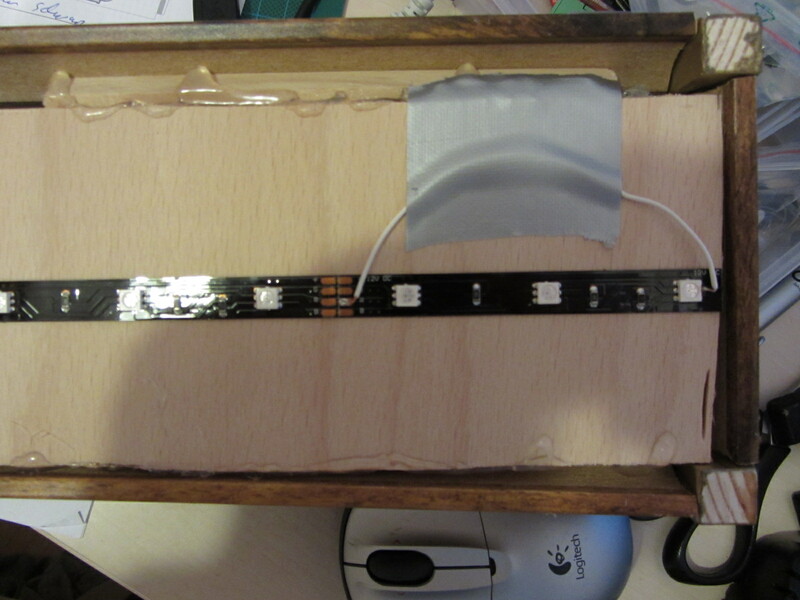 Adding to that a RGB strip on the bottom of the box (more when I get it running perfectly well). I shortened the RGB strip (too motivated). The last segment was without the red LEDs. With my supreme hacking skillz I soldered a workaround. Aint i not smart ? ~ by thorstensick on January 8, 2012.